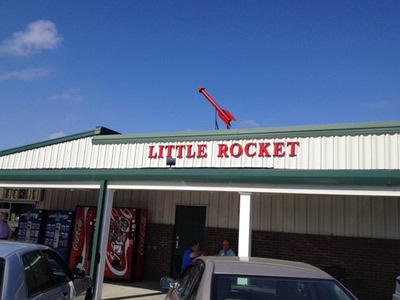 Enjoy a Little Rocket cheese biscuit anytime. 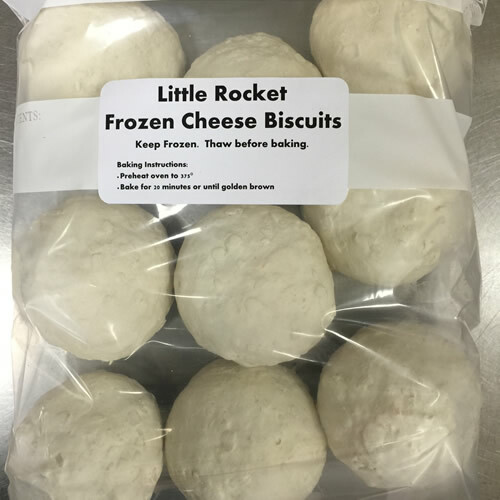 You can buy our delicious Little Rocket Frozen Cheese Biscuits by the dozen. Our cheese biscuits are shipped in a reusable, insulated shipping container with enough dry ice to keep the contents frozen for 48 hours. All orders are shipped via UPS Ground or 2-Day Air, depending on your location. The UPS Ground map below shows which zone you are in. 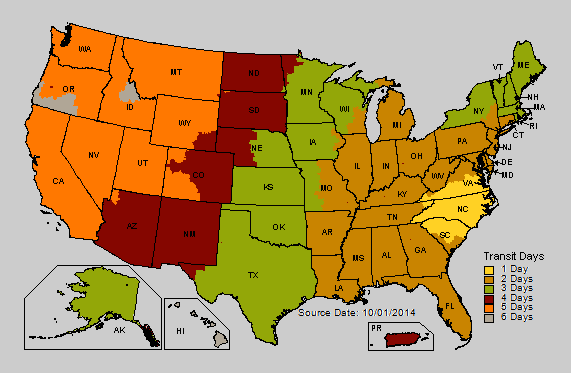 If you are within the yellow or brown area, your order will be shipped UPS ground. Any of the other sections will require your order to be shipped 2-Day Air. For shipped orders there is a $45.00 packaging fee for the insulated shipping container that will keep your cheese biscuits frozen and safe. Once you submit the order, we will call you with exact shipping charges and order total. If you would like to continue with the order we will then get your credit card information and process the order and the cheese biscuits will be on their way! The table below the map shows the estimated shipping cost for 3 dozen cheese biscuits, for an example. The following map and shipping prices are based on an order of 3 dozen cheese biscuits. Actual shipping charges for your order may vary. Use this form to order our Frozen Cheese Biscuits. We will call you back to confirm the total and the payment. Call us at (252) 753-3722 or send us a message through our contact page if you have any question. Each pack contains a dozen biscuits. When mailing as a gift, we will not include the price on the invoice.